The latest fad in children’s parties is the VR birthday party in Amsterdam. A unique experience where the children dive into a real VR world. There are several games on the computers. It is possible to play small short VR games against each other so that the children rotate on 1 device. The scores can then be seen on large screens so that a kind of competition arises just like with bowling. We offer various possibilities for the VR birthday party. You can choose from reserving 1, 2 or 3 VR headsets. Per VR headset 1 child can play at the same time. 1 VR headset includes instruction and 1 VR headset. You will be welcomed by one of our employees and he or she will be present throughout the stay. The VR birthday party is part of UP Events. 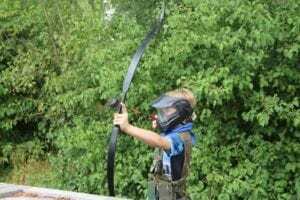 UP Events offers, besides the VR Birthday Party, many other activities such as Archery, Bubble Football, Archery Tag, Laser Gaming and Room Escape. Bubble Football birthday party is one of the activities and workshops of UP Events. 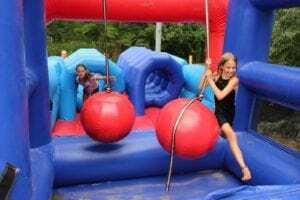 If you want to combine the Bubble Football birthday party with one of our Room Escape concepts, Laser Tag, another activity, meeting, lunch, drinks, tapas or BBQ please let us know, we will make you a suitable offer. You can contact us on +31 (0) 20-3375191 or email us via the contact form. The best birthdayparties are at UP Events! Up Events offers 3 kinds of birtyday packages, Hip, Hip Hip and Hip Hip Hurray! These packages are for parties starting at 6 kids and aged above 8 years! The price of this Kids party is €20,95 incl VAT per kid. (minimum of 6 kids). 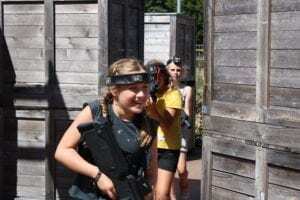 (Lasergame/ Escape Rooms/ Archery/ Archery Tag/ Bubble Football/ Virtual Reality) + and a 30 minute long activity: Laser Tag, Boogschieten or our inflatable obstacle course. The price of this Kids party is €31,95 incl VAT per kid. (minimum of 6 kids). The price of this Kids party is €39,95 incl VAT per kid. (minimum of 6 kids).